Home » News » The Amazon Phone with Holograms? The Amazon Phone with Holograms? The Wall Street Journal are reporting that online superstore Amazon is finally ready to make a smartphone, with a release scheduled for this summer. In the wake of their set top TV box, Amazon will be covering pretty much all bases when it comes to tech aside from a phone. 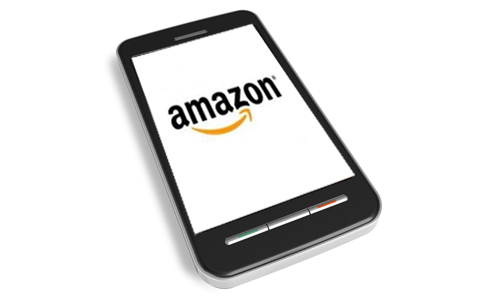 Sources say Amazon has already started showing off the phone to developers, and is planning to announce the phone in late June, with a release in September. Rumour has it that Amazon are hoping to turn some heads by using retina-tracking and will feature 3D-like holograms that seemingly jump off the display. When I hear 3D holograms and phones I can’t help but think “Help me Obi One Kenobi, you’re our only hope.” A 12″ holographic projection of an incestious princess standing in the palm of your hand. I’m sure this is still a long ways off yet, however an announcement in a couple of month will hopefully get the Rebel Alliance hot.